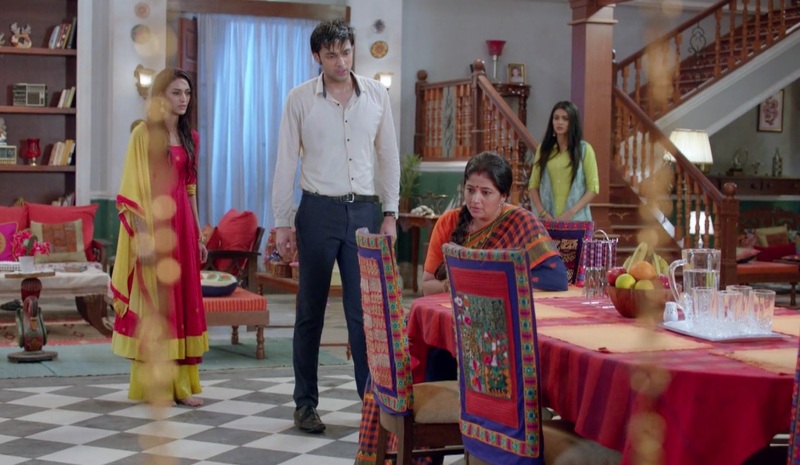 Kasautii Zindagii Kay : Let’s Take A Moment To Salute Courageous Love! Veena got shocked twice in the episode yesterday. Once, when despite her anger and wrath she saw no guilt in Prerna’s eyes, instead she was fiercely defending Anurag. And the second time was when Anurag took Prerna’s share of slap from Veena. 1. True love is always courageous. It doesn’t fear or shy away from anyone or anything. 2. True love is fierce. It stands rock solid for one another as each other’s defending wall. ‘Defending wall’ – That’s what Anurag and Prerna were for each other in the episode. They were loud, clear, unapologetic, defensive and all the more courageous. Just the way ideal lovers should be. The way they defended each other, accepted their love for each other and denied to be shamed for the same – They depicted fearless love of two audacious lovers. The scene also captivated us for another reason. For a brief moment, Erica Fernandes charmed us and pulled us like a magnet during the scene. The moment when she came forward, stopped her mother from blaming Anurag and raised her voice trying to shield her love without even a drop of regret – Is a moment that Kasautii Zindagii Kay viewers are going to remember for a long time to come. The actress’ eyes were superbly expressive in the scene and she presented Prerna’s defense in a marveling manner. Truly beautiful. We loved that small bit in yesterday’s episode and if you didn’t watch it yet, we strongly recommend you to watch it once. It’s Valentine’s Day today and there can’t be a better day to take out a moment and salute inspirational courage in love. And we just did that. Happy Valentine’s Day to every AnuPre admirer out there. Simple,subtle but a VERY BEAUTIFULLY written article Fuze!